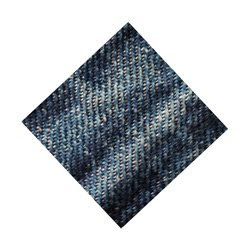 Denim was traditionally colored blue with indigo dye to make blue jeans. Historically, indigo was a natural dye extracted from plants, and this process was important - blue dyes were once rare. Nearly all indigo dye produced today — several thousand tons each year — is synthetic. Indigo is among the oldest dyes to be used for textile dyeing and printing. Many Asian countries, such as India, China, Japan and South East Asian nations have used indigo as a dye for centuries. The dye was also known to ancient civilizations in Mesopotamia, Egypt, Greece, Rome, Britain, Mesoamerica, Peru, Iran, and Africa. Agbada is the Yoruba name for a type of flowing wide sleeved robe, usually decorated with embroidery, which is worn throughout much of Nigeria by important men, such as kings and chiefs, and on ceremonial occasions like weddings and funerals. Classic hand tailored and hand embroidered robe with the two knives pattern on a background of hand spun cotton indigo dyed cloth called "Etu" or Guineafowl." Along with madder dyed magenta silk and beige local wild silk sanyan, this dark indigo etu formed a triumvirate of highly prestige cloths in C19th and C20th Nigeria. 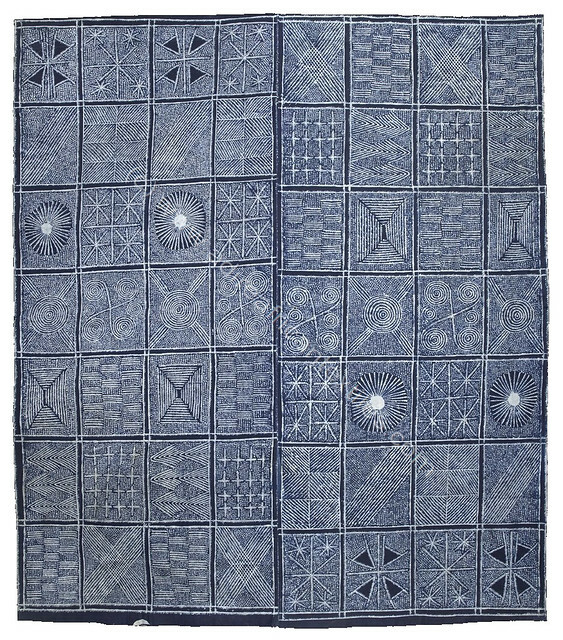 Indigo was the foundation of centuries-old textile traditions throughout West Africa. 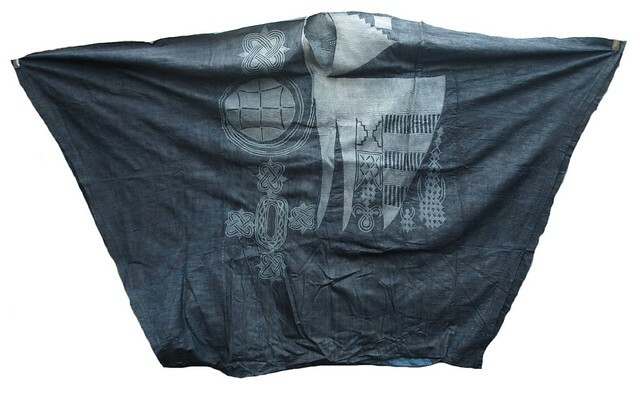 From the Tuareg nomads of the Sahara to Cameroon, clothes dyed with indigo signified wealth. Women dyed the cloth in most areas, with the Yoruba of Nigeria and the Manding of Mali particularly well known for their expertise. Among the Hausa male dyers, working at communal dye pits was the basis of the wealth of the ancient city of Kano, and they can still be seen plying their trade today at the same pits. 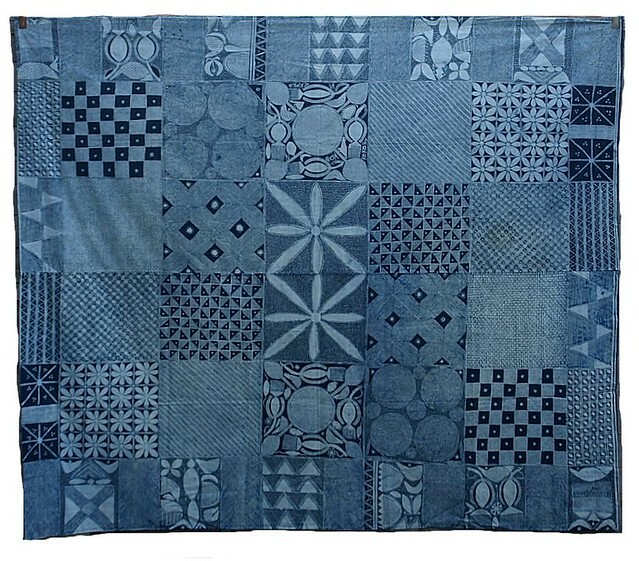 More info and incredible pictures at Adire African Textiles, including some indigo resist dyed Adire cloths from Nigeria. 'Olokun' or 'Sea goddess' adire cloth. Nigeria. Superb version of the classic hand-painted adire eleko design known as "Sun bebe." In Japan, indigo became especially important in the Edo period when it was forbidden to use silk, so the Japanese began to import and plant cotton. It was difficult to dye the cotton fiber except with indigo. Even today indigo is very much appreciated as a color for the summer Kimono Yukata, as this traditional clothing recalls Nature and the blue sea. Because of its high value as a trading commodity, indigo was often referred to as Blue Gold.